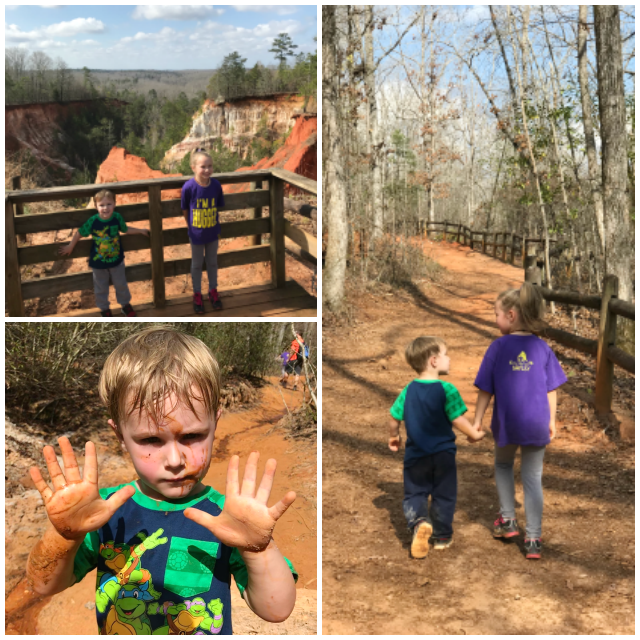 Exploring Georgia's "Little Grand Canyon"
This past week was Winter Break for our local schools so we decided to take a trip camping. 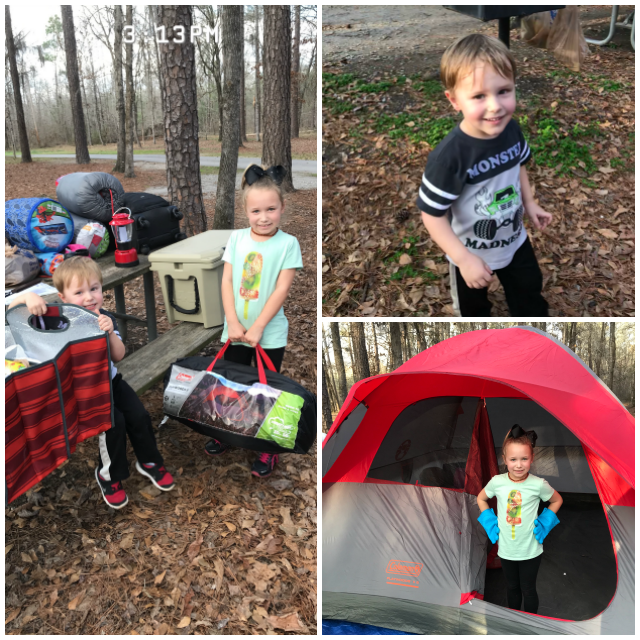 I have mentioned how much we love camping before because it get us a nice little getaway without breaking the bank and all of our Family's Camping Essentials. Since we are Friends of the Parks and just found out about it, we decided to join this club where basically what that means is if we hike four of Georgia's canyons then we get a t-shirt. We actually have already hiked three of them last year with full intentions of returning. 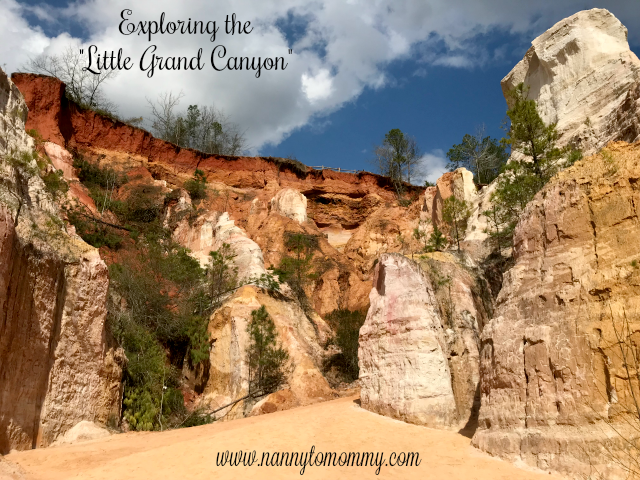 Since it is cooler this time of year, we decided to head down south to explore Providence Canyon which is also referred to as Georgia's "Little Grand Canyon". Hiking did get a little hot since we couldn't feel the breeze and it was unseasonally hot when we went, but it was so worth it. We had to stay a little bit away at Florence Marina which is actually their sister park. It was cheaper included easy access to water plus it had a wonderful comfort station which included full showers and washer/dryers. And although we didn't need it/use it, the site included electricity as well. We think we are starting to get the hang of this camping thing. We made aluminum foil packets to cook our dinner which included chicken that was marinaded as well as a variety of veggies. They were easy and convenient. We did end up heading to a local brewery called Omaha Brewery. It was neat to visit. My husband enjoyed it a lot since he knows a lot more about breweries than me. It is so fun to disconnect a little bit. It makes coming home that much more fun. Do you like to camp? What do you do for a vacation? I have so many memories of playing in red clay when I was a kid, the dirty hands pic totally reminded me! Thank you for sharing Georgia's little Grand Canyon with us! I'd never heard of it before! Until reading your post I had never heard of this place before. I am going to make sure we include it in the future for when we travel south. This looks like a place my family would really enjoy visiting! This looks like a fun place to visit with my grandsons so they could explore the area! Keeping our kids active and engaged is so important. A trip like this is something that they will remember for years to come too. Thank you for sharing. I used to love to go camping. I have been to Georgia many times but never knew about this park. So pretty! What beautiful pictures! I would love to explore this area. That sounds like fun! I love camping, and hopefully one day my family and I can take a trip out there. I've never camped before, but it sounds fun. This looks like such a fun place to go as a family! We love to go camping. :) Thank you so much for sharing! What kind of American am I? I'm so embarrassed that I didn’t know about Georgia having one canyon, let alone four! Providence Canyon which is also referred to as Georgia's "Little Grand Canyon". This is breathtaking!! I wished I would have known about this place sooner, because I would have loved to have camped there with the family! Oh! The beautiful memories we would have had! I’m so glad that you have made them with your precious family!! Thank you for sharing!! This looks like such fun! I would prolly choose a camper over tent though. This looks beautiful! Looks like you had a fun time. Wow, it looks gorgeous. And somebody found some mud to play in, lol. That's fun!! Wow, I didn't know about "Little Grand Canyon" in Georgia. I wish I had known when we were there. We will be coming back and it's on my list to camp and check out. Thank for sharing. I love learning about things to visit/do in other states. What a lovely natural place. View is nice.